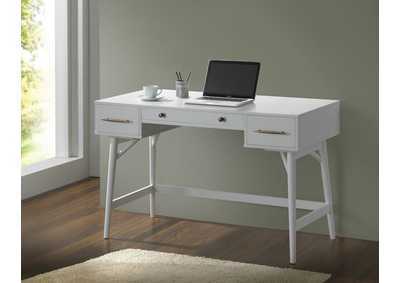 These Mid-century Modern Style Desks Have Enough Drawer Spaces To Store Away Your Belongings. Available In Walnut Veneer And Bronze Hardware, Or White Finish With Bronze Hardware. Finished On All Sides To Float This Stylish Piece Anywhere.